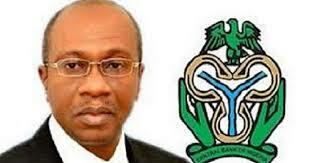 Central Bank of Nigeria (CBN) Governor, Mr. Godwin Emefiele says the proposed monetary policy of the presidential candidate of the Peoples Democratic Party, PDP, Alhaji Atiku Abubakar is flawed and will reverse the gains the country has made in encouraging local production and manufacturing. Emefiele warned that Atiku’s suggestion that Atiku’s bid to free-float the naira and open up the economy to imports of all sorts is a recipe for disaster. Nigeria under the Muhammadu Buhari administration has focused on weaning Nigeria off importation of foods and items that can be made locally. Billions of naira in loans have been extended to farmers and investors in agriculture. Atiku, a former top customs official and businessman, has received backlash from the public for openly saying he would enrich his friends if elected. His bid to open up the country to imports is being viewed with suspicion. Emefiele spoke during a session with journalists at the first Monetary Policy Committee, MPC, meeting of the year by apex bank Tuesday. “The MPC reviewed it and concluded that it would be wrong. It is as good as saying that we should go back to the era of Structural Adjustment Programme (SAP) in Nigeria. The implication can better be imagined. It will certainly lead to capital flight, lead to massive depreciation or devaluation of the currency and ultimately to currency crisis in Nigeria and I think we should all know that it is a road to perdition to ever go in that direction. “There is no capital control in Nigeria today because you cannot find the CBN trying to intervene in the market for demand and supply of foreign exchange,” the banker, who is helping drive Nigeria’s economic turnaround said. 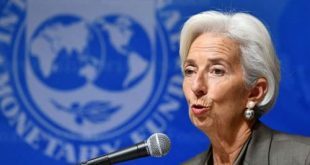 “Normally, the Central Bank as an independent institution is apolitical but it is also important that at the MPC meeting today we asked ourselves if there is any merit in it to begin to say that we should look at free-floating the currency or that we should allow free import of goods that we have restricted. The MPC came to a conclusion that this was a wrong premise. “We cannot be talking about allowing import of items that can be produced in the country today, exporting jobs from Nigeria to foreign countries, and we say we have the interest of Nigeria at heart? We don’t agree with anybody. It is a wrong premise to say that you will allow imports to just flood the country just because you want to please anybody. It is not in our interest. With regards to Forex restrictions on imported items, Emefiele said the CBN would get even more aggressive to see to it that any or all food items that can be produced in Nigeria and consumed in Nigeria and are currently being imported into Nigeria may face forex restrictions. “We would go through our records and once we convince ourselves that these products can be produced in Nigeria, we will place them on the FX restriction list. It means that you cannot source foreign exchange from Nigeria foreign exchange market to import those items into Nigeria. If you have free dollars, you can bring it in but you will not be able to even make payments for those goods with dollars from the Nigerian foreign exchange market. This is because we think that the initiatives that CBN has put in place in the past to cut imports and diversify the structure of the Nigerian economy is yielding results and we will continue to be that aggressive. And we also went further to say that the Economic Intelligence Department of the CBN together with EFCC would investigate any company, any individual suspected of bringing these items through smuggling or any means for money laundering and economic sabotage. 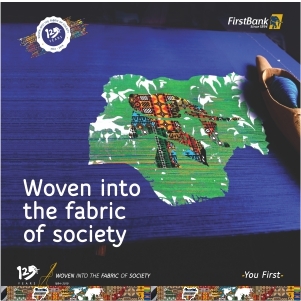 And that if we discover and conclusively too, that these companies or individuals that are involved in bringing these goods, we would write to all the banks that they should blacklist all those companies and individuals running those companies that they can no longer operate any bank accounts in any Nigerian bank. We don’t need to talk about prosecuting them but just to say we will not allow you to do business in Nigeria and of course you know the implications of that,” he said. At the end of the MPC meeting, all 11 members voted to keep the policy parameters unchanged from their current levels. By this decision, the MPC decided to retain the MPR at 14%; retain the asymmetric corridor of +200/-500 basis points around the MPR; retain the CRR at 22.5 per cent; and retain the Liquidity Ratio at 30 per cent. In his assessment of the economy so far, Emefiele said: “It is important for me to say that if we think about where we are coming from, I would say I like to use some numbers: for instance, in September 2008, Nigeria’s reserve was about $62 billion, GDP was 7.2%; inflation was 15%. “By January 2014, GDP was 6.2%, inflation had trended downwards to 8% and external reserve was 40%. Let us not forget that we were in a period of prosperity, in terms of crude prices between 2009 and 2014 which is five straight years, with no shut-ins in pipelines, with high crude oil price, reserve still dropped. “From the end of 2014, we started another round of global crises. The global crises resulted in stagflation in Nigeria. GDP dropped, to 2.79% in 2015, went further and contracted to negative of 1.58% in 2016, improved in 2017 and then we are hopeful that 2018 would end at about 1.8%. He added that “Inflation was 15% in 2008, dropped to 8% in 2014 and it moved up to about 9.5% and by January 2017, it had moved up to 18.7% but today, through the activities of monetary and fiscal authorities, inflation had gone down to 11.4%. “Trade balance in 2008 was $46.2 billion, went down during the period of global crises to $6.4 billion and today it is up. In 2017 it was $13.15 billion and closed at $18.7 billion in 2018. When you talk about activities that related to issues on the restriction of foreign exchange for the importation of certain food items you will also find for instance that rice which is a major staple in Nigeria: data from the Thai Rice Exporters Association says that in 2014, Nigeria imported 1.2 million metric tonnes of rice. In 2015, it had dropped to 644 metric tons. In 2016 to 58,000 metric tons. In 2017, to 23,000 metric tons and 2018 to 6,000 metric tons” he pointed out.